Just played with T05 Hard for a couple hours. Obviously it has a harder feel but not as dramatic as I thought it would be. T05 Hard is slightly faster and has a more direct less arcing shot than regular T05. Blocking is easier with the hard version. For service I dont really notice much of a difference. I didn't get a lot of work in the short game today so I can't comment on that. For me personally there isn't that big of a difference between the 2 rubbers. Is it suitable for backhand? I found T05 is very sensitive with incoming spin ball. Harder sponge will make it less sensitive right? My guess is that it is relatively easy for a manufacturer to produce sponges of different hardnesses. So, a version of this product might have existed for years (albeit for some pros who demanded such hard). Another guess: the reason why these pros demanded such hardness is because they want to boost the sh!t out of the rubber. So, I'm guessing that this particular rubber (T05 Hard) is also (unofficially) designed for boosting. Question to the testers: is the topsheet of T05 hard different from T05 topsheet and if so, how? My sheet has arrived. Black, 2.1mm, 77.14g uncut. Cut to 157x152, 52g. It's OK, not frighteningly heavy. Does feel hard to the touch though. I'm relieved by jpen's reports above. Quick bounce test - it's fast. Yikes. 2. Probably. They will all have their own preferences, so I doubt this is a universal thing. 4. 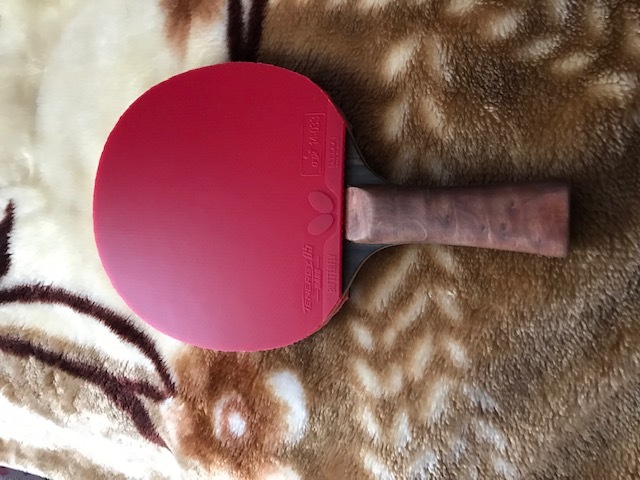 They've obviously used a new mold for it (different logo and ITTF reg number), but BTY have stated in their marketing that the topsheet is the same and it looks the same by eye to me. This endless pointing of fingers at the PRO's for boosting has always seemed unlikely to me and now I am starting to understand why non-pro's like to make these claims as it gives them validation for boosting. By claiming PRO's do it then they are not cheating or breaking the rules as PRO's do it.. Of course manufactures that supply these materials also pay off various players to make boosting claims against PRO's further generating sales. 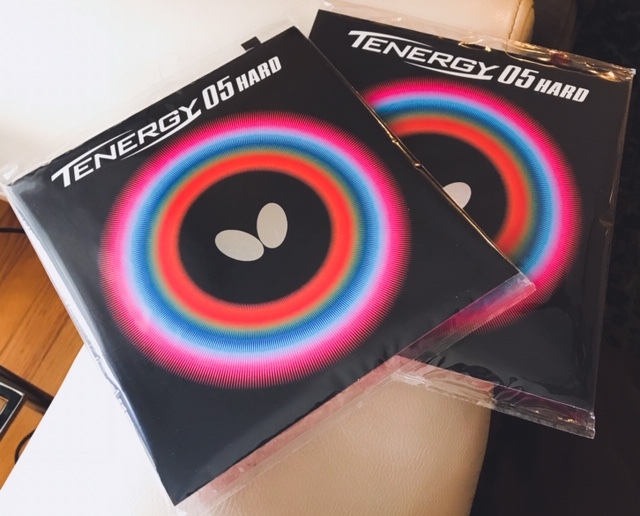 "illegal" but if I were to design a Tenergy to boost "just for fun" it would be T05 Hard. I always get a good laugh when a pro is pressing his blade on the table to keep his rubber from curling up. A PRO would be ITTF rated in the top 250 international player rankings and subject to Anti-Doping rules by ITTF. Mostly agree with jpenmaster - it's harder without being a brick. Well-executed power shots are amazing - very high spin at high speed, incredibly difficult to max the rubber out. Less catapult in the lower gears which cuts both ways - requires more effort to get arc and spin out (medium effort strokes are more meh), but correspondingly a bit easier in the short game and blocking. The basic speed is high - I had it on a fairly easy-going off- blade and it's at the top edge of the limit of what I can reasonably control (if I'm honest, it's still a bit much). I'd struggle (more?) with it on anything faster. I think the spin on a full FH stroke is the highest I've seen for a eurojap. It's quite something. I found the middle-effort game to be tricky - I'd send basic drives surprisingly long at times, and the arc stays a little low and needs some consideration. Just the overall hardness of the rubber as a whole catching me out. Passive blocking is still a handful in comparison with less spin-sensitive rubbers. Active blocking feels much more solid than regular 05 though. I struggled to lift some longer backspin balls - not sure why, need more time. It's a total monster when attacking 3rd ball with a big FH stroke. I did some exercises around this and rotated setups (same blade) every 5 minutes to get a comparison - R47, Omega 7 Asia, Aurus Prime, Battle 2. The difference in spin on these big shots was really very clear - 05 Hard obviously out in front. It's still too expensive IMO, but I can't deny the quality of the rubber. Feels like an improvement on regular 05 in all the ways that matter to me personally (easier short game/receive, more linear helps me a lot, while the more inert middle gears don't take much away from me), but it's fast and still fairly demanding in comparison with something like R47. Not everyone will find the same balance of positives/negatives with it of course. I find it surprising it's like a slightly harder T05 given the suggested hardness difference! Is jpenmaster allowed to make shakehand blades? Yesterday I had a chance to play 05hard on both sides of a similar blade to viscaria. Here are my observations. Pros: touch, serve return, good power. spin, interesting sound. 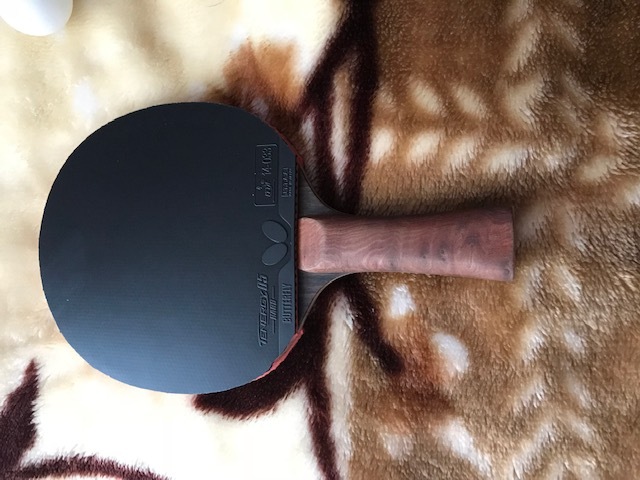 Much better forehand than backhand rubber. 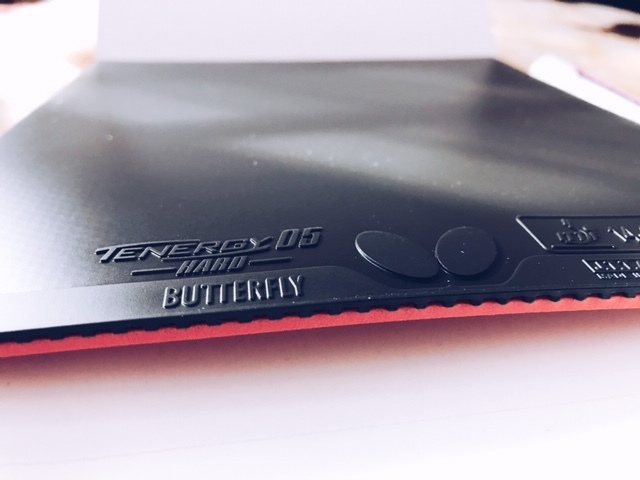 The rubber in my opinion feels much different than any other tenergy rubber. it has a different feel and a develops different sounds more like a Chinese boosted rubber. 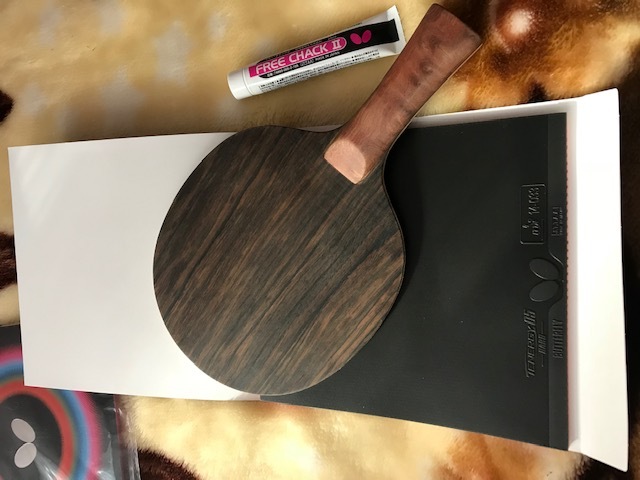 It playes like Chinese rubber in short game which is great and also enables to play like tenergy rubber of the table with great speed (also great). I think this is the only rubber that sounds like a Chinese rubber performs similar yet I can actually play with it. In other words, if you ever tried Chinese rubbers and u cant play with them cause they too slow, or simply u are used to euro jap[ rubbers, tenergy 05hard might be the only rubber than can bridge the gap between Chinese and eur/jap rubbers. Overall my performance was good, as I won the matches. Some of my friends commented I actually played really good with this rubber, so I will be sticking with it on both sides of my blade. 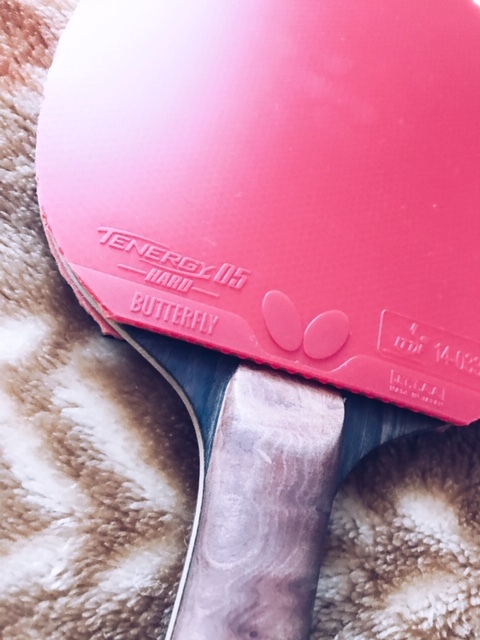 It is definitely a different type of tenergy, I think it requires more practice to get used to it and learn how to play it best. I know for sure that some of players might not like it at first, but I would give it some time and play with it. Spin and short game is where this one shines! (Also to mention I glued it using rubber cement) found that it works great, to remove it from sponge in few weeks or so I will use 3layers of tear mender, which will dissolve, combine with old glue for easy removal. 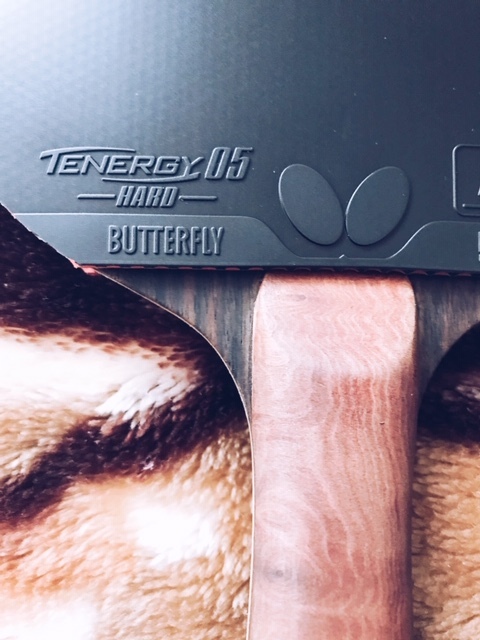 I must say that 05hard for the way it sounds and feel, it is totally new type of tenergy. I think it definitely requires softer/flex type blade maybe even all wood blade would be best. I would not stick it on any blade harder/faster than Viscaria (I think it would be simply too hard rubber on that type of blade). R50 is a good comparison. 05H is harder still - both in topsheet and sponge - but in terms of how you use it and how "tight" it feels, it's a good call. What about Joola Golden Tango? I haven't used that, but it's tacky. So although it may be on a similar scale in terms of hardness, the tack (if it's similar to Hybrid K1, which I have used) will make it slower on basic strokes. Another one we could compare to might be Omega 7 Tour, which is super hard. I haven't even seen one of those in the wild yet. I think it definitely requires softer/flex type blade maybe even all wood blade would be best. I would not stick it on any blade harder/faster than Viscaria (I think it would be simply too hard rubber on that type of blade). I will be testing one in a couple weeks on VKMO.. which is a "fast" all-wood Def blade. Reading reviews it does sound like T05H is a good alternative for all the Hurricane users out there. You get a real sense of the ball being grabbed by O7A's topsheet, and it feels very safe and secure on slow strokes. You get good spin here without too much effort, and it's quite forgiving of imperfect contact with the ball. TO5H has a harder overall feel and you need to be more precise with your contact to make sure you get the result you're after. Basically - you can be lazier with O7A and have more chance of getting away with it. On hard strokes, O7A is fast with medium arc and good spin. T05H is in the same speed range, a touch higher arc, but with more spin. For serves - T05H seems to deliver more spin on the touchy thin-contact deliveries, but it seemed harder to keep the ball short. These things even out after a few sessions of adjustment so I wouldn't worry overly about this bit. Both rubbers are excellent for power looping - big swings, full strokes, crushing power. T05H produces more spin in these situations (more than a bit more - a fair chunk more), at the expense of easy mid-effort driving in comparison. If you want to pulverise the ball with a big swing and go for overwhelming power to create winners, but can accept the higher demands in the lower gears, T05H is ahead here. I really like O7A though, so don't take that as a major knock against it. I find it easier to lift backspin with O7A at this stage, for example, and it's easier to find a nice rhythm with it when continuously driving/loop driving against block. I need to give T05H more table time, and definitely a match situation under pressure, to see how I feel about the overall balance. O7A (and many other hard-ish sponged ESN rubbers) have an advantage of being less demanding in the less glamorous parts of the game (or at least, that's how I've found it in recent years), but how will I play with T05H when under pressure? Or when slightly tired, or out of form? Others have mentioned blade choice with T05H and I think that's the key. I'm going to try it on a slower, allround blade soon to see how it matches up. As I type this out, it occurs to me that T05H with its really firm, tight feel, reminds me a lot of MX-S. So, MX-S with a big injection of top-gear spin. That might be the easiest comparison to make. I'd love to hear what MX-S users think of this. Not sure if he's still playing regularly, but this is right up NextLevel's alley. Is it possible to compare with Karis H? I can see the idea with this - Karis H is designed to be very linear. T05H is harder, so although they share that linearity Karis H is slower across the board. The main thing is that Karis is also, by design, not going to give you extreme spin. Karis is very balanced - spin is OK, which makes it very good when handling incoming spin too - but T05H has T05's topsheet which is much more spinny. Karis is much easier when counterhitting, blocking - all those times when you'd usually be susceptible to incoming spin. If you value that, Karis is the better rubber. If you want more spin - lots more - something like T05H is worth considering. It's a similar picture with the other hard-feel rubbers on the market. R50, MX-S, Karis H, and so on. 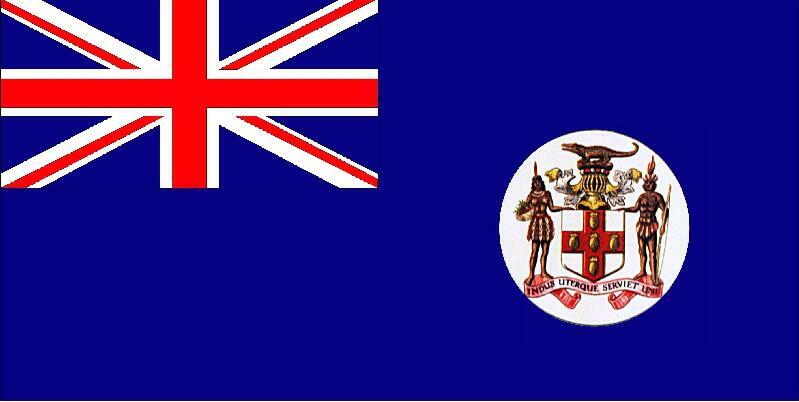 They're all linear, hard, suit expansive strokeplay. But T05H adds class-topping spin (and spin sensitivity) for a non-tacky rubber to that package. If you use one of these other hard rubbers but really want bucketloads of spin, T05H is your guy. But if you use one of these other hard rubbers and enjoy their relative indifference to incoming spin, beware. Probably worth saying at this point that T05H doesn't feel radical or is a watershed moment or anything - it's literally just a hard T05. That plays into my hands somewhat based on how I play, which is nice, but don't expect a paradigm shift or anything. Short update - took 05H to a league match last night and it went very well. No complaints. I found it easier to use than regular 05, particularly when active blocking/countering, and it was really solid in the grindy aspects of the game. I still wouldn't want it on a fast blade personally, but that's just me. As someone who's used harder, more linear tensors on the FH for some time (R47 mostly), 05H is really cool. As someone who's no fan of Butterfly in general, I'm irrationally annoyed by that coolness. It's still expensive - that's the only thing I can really have a dig at it for - but if the performance stays high for longer than the competition then I guess that's fine so I'll keep an eye on durability.